Fairline began its passion for developing quality cruisers back in 1967 when they launched their first ever River Cruiser. This was just the start for Fairline as they were to become an international leader in the marine industry. It was Jack Newington’s vision that pushed Fairline to the heights it has now reached. Based on the ideals of quality and integrity, his passion for excellence quickly gained the Fairline brand many accolades. Ten years on and Fairline introduced the first Fairline Phantom 32 and Fairline 40 both of which have been in production for over a decade. 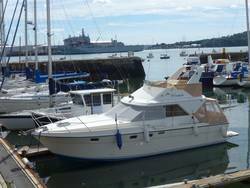 In 1985 Fairline then went on to produce the Targa range and the renowned Squadron in 1991. Style and quality had changed dramatically since 1967, as the demand for perfection and variety was increased by the markets customers. Jack Newington’s son, Sam, took the lead role for 25 formative years and continued the adventure his father had started. Those central core values were kept safe, and the models produced were of the highest design and engineering qualities. Fairline have not failed to rise to the challenge and are still, are in many eyes, the best mass produced power boat in the marine industry market place. The company began on the River Nene in the East of England, where Jack Newington brought some gravel pits to create the Oundle Marine. From this he created his first boat which was a 19 foot handcrafted plastic river cruiser, which was the first ever Fairline Boat. In 1971 Newington’s son Sam took over the company and it began to quickly expand. He employed 14 people and decided to expand the company’s sales network overseas as he knew there was a great chance to take advantage of the Mediterranean market place. By the late 1970s Fairline employed 140 people and had a 7 figure turnover. When Sam retired in 1996, CEO Derek Carter expanded the company creating Fairline boats of North America Inc. The 10,000th Fairline boat was completed in 2002, as where new facilities at the original Fairline Site. 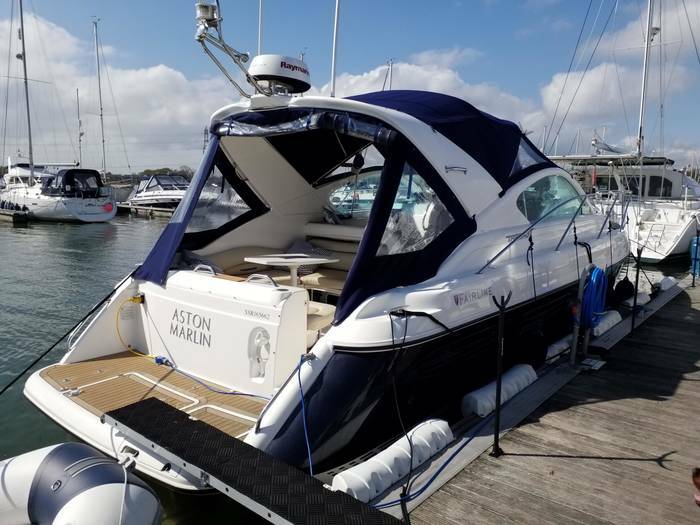 In 2003 the Fairline Club Owners was founded and continues to offer its customers, the Fairline family, all of the knowledge and care that they could ever need. 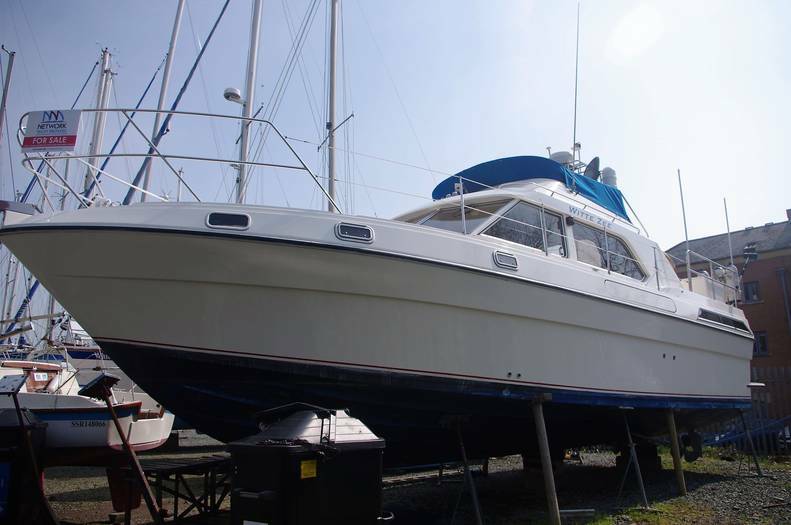 This is a spacious 38-foot sports style boat which is designed to have lots of usable space. The salon has a CD and radio with speakers in both the salon and waterproof ones for the cockpit. 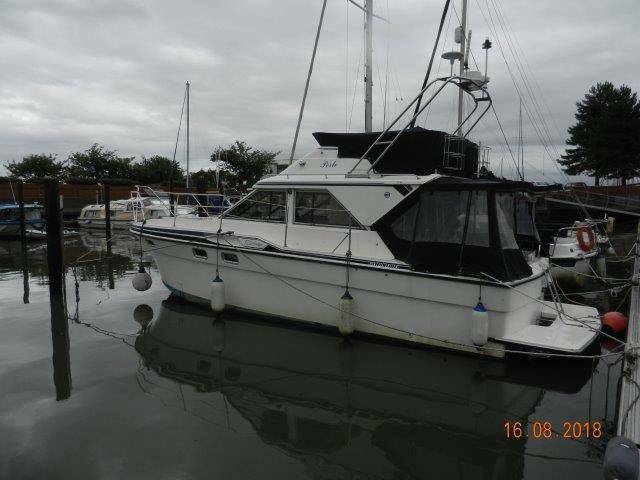 It has a full height standing room, with panoramic hull windows. The salon also has a sliding door to the cockpit, sofa and a cocktail table which converts into a dining table. The main cabin also features full standing height combined with a spacious double bed. It also has opening portholes with a spacious wardrobe. The other cabin features two full length berths which can be converted into a double bed, and cockpit opening portholes. 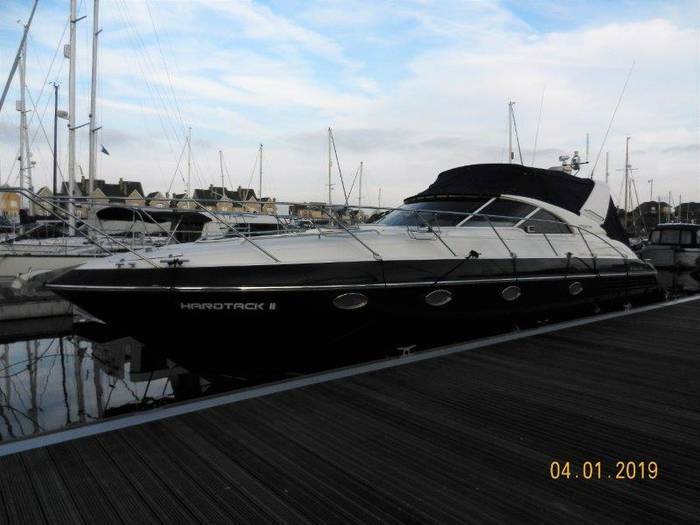 This sports style boat comes with three different types of engine and performance. These are 2 x Volvo Penta D4-300 EVC Stern Diesel 300mhp each with a performance rate of 37 knots, 2 x Volvo Penta D6-370 EVC Stern Diesel 370mhp each with a performance rate of 42 knots, and 2 x Volvo Penta D4-260 EVC Stern Diesel 260mhp each with a performance rate of 33 knots. 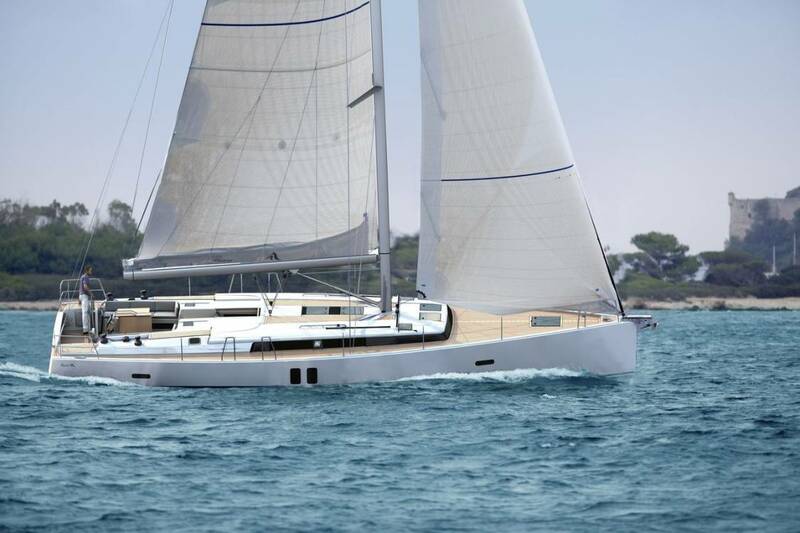 This September at the Festival de la Plaisance in Cannes, the luxurious Fairline Squadron 60 will be making its world premier. The festival boasts a huge selection of the greatest yachts currently available on the sales market and is a must for any potential boat and yacht buyers. It is the highlight of all of the European boat shows and launches more ‘first see’s’ than any other boating event of this type. 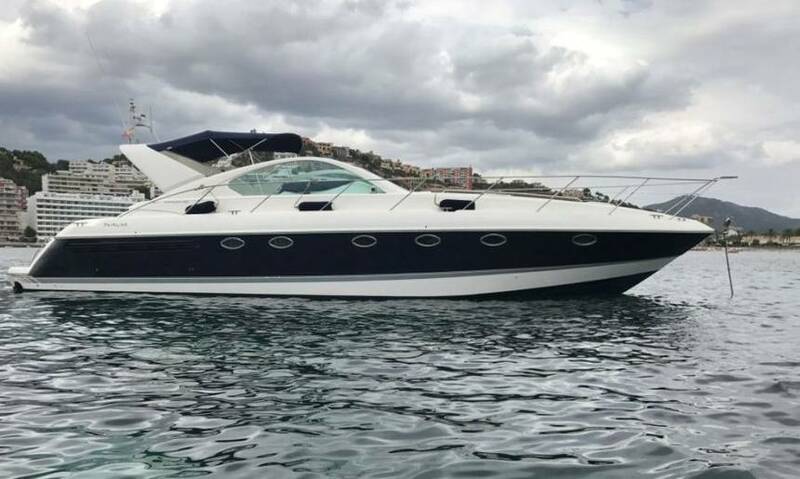 Located under the beautiful sunshine of the French Riviera at Vieux Port and Port Pierre Canto it is the first gathering of the season and allows potential buyers to take to the helm of some of the leading boats of the world before making a purchase. There will be plenty to see with a massive 583 boats on display; of which 173 shall be on show for the first time. On top of this, during the 5 day festival, there are 425 exhibitions and plenty of experts and leading name manufactures to hand. The Fairline Squadron 60 really is a sight to behold. It is an icon of true style and offers luxurious interiors, decadent spaces and truly exceptional cruising aptitude. It offers all of the expected home from home features and modern amenities of the highest quality.